Coming into this season, there were many questions surrounding the team. Believe it or not, not all of these questions were centered around Alex Rodriguez. How would a healthy, gluten free Mark Teixeira perform? Would Chris Young continue his success he enjoyed in Pinstripes in 2014? Could Brett Gardner hit for a higher average or was his ceiling in the .270’s? Would Chasen Shreve even make the major league roster on Opening Day? How would Adam Warren perform in the starting rotation? Would Justin Wilson return to his 2013 form? And, of course, the main one, would Alex Rodriguez be remotely the same player he used to be? Fortunately for the Yankees, all of these questions have been answered with positive results. During the 2014 season, I have to admit that I was one of the more critical fans of Mark Teixeira. However, the only reason I was so critical of him was because my expectations were so high, especially after an injury ridden 2013 season where we saw him hit a dismal .151 with 3 home runs in just 15 games. To my dismay, Teixeira didn’t perform up to my expectations I had set for him in 2014. But in 2015, that’s a much different story. After two down years, I can’t tell you I expected Mark Teixeira to put up the numbers he claims thus far. With a higher batting average than we’ve seen in previous years at .251, 18 home runs, and an American League leading 53 RBIs, Tex has not only earned the right for his name to be mentioned in the mid-summer classic in Cincinnati, but he’s become a dark horse MVP candidate. That’s right; Mark Teixeira is a dark horse most valuable player candidate. You must take this with a grain of salt due to the competition Teixeira faces in obtaining the most prestigious award a hitter can earn. With Miguel Cabrera, Nelson Cruz, Mike Trout, Prince Fielder and even Josh Donaldson in the running, that alone is why Teixeira isn’t likely to win unless his average skyrockets. Nonetheless, we may have expected a bounce back season from Tex, but to be putting up the numbers he is has to be a great success to the Yankees this year. After struggling mightily with one New York team – the Mets – Chris Young was designated for assignment after 88 games with the team. In a questionable and surprising move to most, Brian Cashman went out and picked up the then almost 29 year old outfielder. 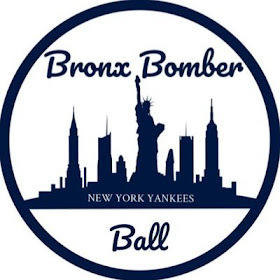 After hitting just .205 with 8 home runs, Young was joining the Bronx Bombers. To the delight of Yankee fans, alike, the rebirth of Chris Young began after joining the Yankees in the middle of the 2014 season. In 23 games with the team, Young hit .282 with 3 home runs, including a clutch walk-off homer. Young’s surprising contributions led him to signing a 2.5 million dollar deal with the Yankees for one season this offseason. Young began right where he left off in 2014 being one of the Yankees top hitters in April of 2015. After hitting .305 with 5 home runs in April, Young hit just .132 with 1 home run in May despite getting nearly identical playing time across the two months (59 and 53 at bats, respectively). But after 57 at bats in June so far, Young is hitting as good as he has all season with a .368 average and 4 home runs, including two over the past two days in Houston. 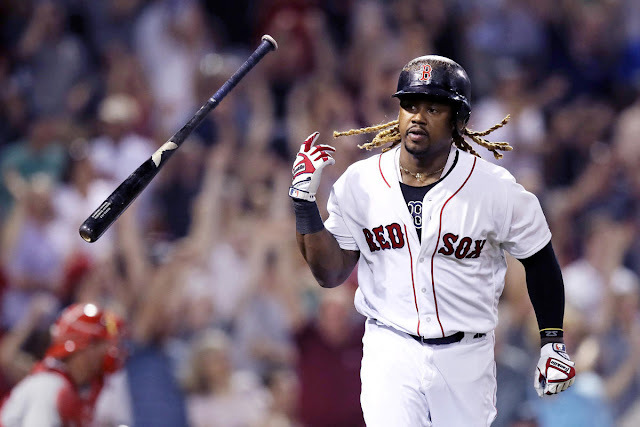 Young is hitting .272 with 10 home runs and 25 RBIs in 68 games to go along with great defense making him an unlikely contributor to this year’s team. Brett Gardner hit a career high 17 home runs in 2014 to go along with a career low .256 batting average and 21 stolen bases, his lowest since his first year in the league. To say Gardy is an unexpected contributor wouldn’t be fair but the stellar performance by him likely wasn’t predicted by many. To this point in 2015, Gardner is hitting .300 with 9 HRs and 38 RBIs. He’s also stolen 15 bases already, far outpacing his totals in nearly every statistical category he put up in 2014. We always expect Gardner to perform well but to be putting together a more than deserving All-Star season is slightly surprising. In an offseason trade that sent Manny Banuelos to Atlanta for David Carpenter and Chasen Shreve, Shreve was the minor piece of the deal. Shreve was a thrown-in as it wasn’t clear what to expect from him in the bigs in 2015. Granted, Shreve pitched outstanding in 12.1 innings in the MLB in 2014 posting a 0.73 ERA. Despite that, many weren’t sure Shreve would even make the Opening Day roster, and nearly no-one expected him to outshine Carpenter. As we know, the David Carpenter era was a disaster as he was designated for assignment in early June. Shreve on the other hand has been what I’ve advocated as the best reliever in the bullpen not named Andrew Miller or Dellin Betances – and his numbers back it up. Shreve is 5-1 with a 1.72 ERA and 34 strikeouts in 31.1 innings this season. Shreve also hasn’t allowed a run in 10.2 innings in June as he’s continually called upon in high-pressure situations. Shreve has thrived in the bullpen this year which is a pleasant surprise to many. Adam Warren enjoyed the best year of his pro career in 2014 as the 7th inning man for the Yankees. Warren posted an ERA of 2.97 with 76 strikeouts in 78.2 innings last season. Despite not being a starting pitcher since his minor league days, Ivan Nova’s injury thrusted Warren into the rotation. After a slow start for Warren with a 4.35 ERA in April, Warren has settled into a grove lowering his ERA to 3.59 on the season with a record of 5-5. Over his last 10 starts, Warren has consistently lowered his ERA across starts as it’s gone from 4.78 to what it is now at 3.59. 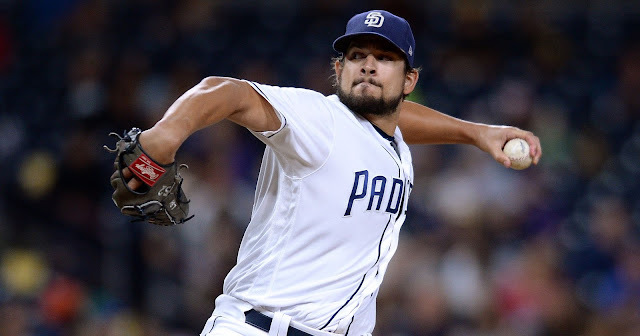 With his recent success, it brings up question marks as to whether he’ll get moved to the bullpen or if another member of the rotation will, but I’d still expect it to be Warren. Justin Wilson was one of the best left-handed relief pitchers in the game in 2013 with the Pittsburgh Pirates going 6-1 with an ERA of 2.08 in 73.2 innings. 2014 was a different story for Wilson as he went 3-4 with an ERA of 4.20 in 60 innings. His lack of success forced his way to the trade block in the offseason when the Yankees dealt backup catcher Francisco Cervelli to Pittsburgh for Wilson. It was yet another case of a Yankee catcher going to the Pirates (Russell Martin and Chris Stewart). Wilson was an asset to the bullpen early on in the season before posting an ERA of 6.23 in May. This allowed his ERA to reach 5.73 at one point. Following the injury to Andrew Miller, Wilson got the promotion from the 7th inning role to the setup, 8th inning role and he hasn’t looked back. Wilson has yet to allow a run in June across 11.2 innings striking out 10 in that span. With Wilson thriving, he’s helping the bullpen reach its full potential. As we all know, Alex Rodriguez missed the 2014 season in its entirety leaving a myriad of questions coming into this year, the main one wondering if he’d even make the team. With three years and 61 million dollars left on his deal, Brian Cashman and the Yankees made the fiscally responsible decision to keep him and see what they could get out of him in 2015 and beyond. Surprisingly, Rodriguez too is putting together an All-Star caliber season. Now I’d be absolutely surprised to see him in uniform in Cincinnati given his past but a slash line of .286/.390/.527 and an OPS of .916 alone certainly deserves the chance to play in the All-Star Game. Rodriguez’s bat speed is also there with a high exit velocity off the bat allowing him to hit 15 home runs, drive in 44 runs and hit 12 doubles in 70 games so far. As a primary designated hitter, we may have expected Rodriguez to make the team this year but to perform as good as he has couldn’t have been predicted by anyone. With the abundance of unexpected contributions across the board from the lineup to the rotation to the bullpen, the Yankees have propelled themselves into a pretty good position with a record of 41-34 and just a half game back of the Tampa Bay Rays. If the players mentioned can continue thriving in addition to other players coming together and catching fire, this team has it in them to take back the American League East crown.